When we formed Sash Window Experts over 25 years ago, our mission was to help preserve our country’s period windows and doors. Since then, our small team of accomplished craftsmen has been working tirelessly to achieve our aims, carrying out countless sash window repairs and renovations in properties across Sussex and the South East. Whether on site or in our joinery workshop, our team of local artisans take great pride in restoring the beautiful period features and functions of sash windows back to their former glory. From slide mechanisms and draught proofing to accommodating advances in double glazing technology, we can help renovate sash windows for all kinds of period properties, so that you can maintain your home’s classic features for the long term. 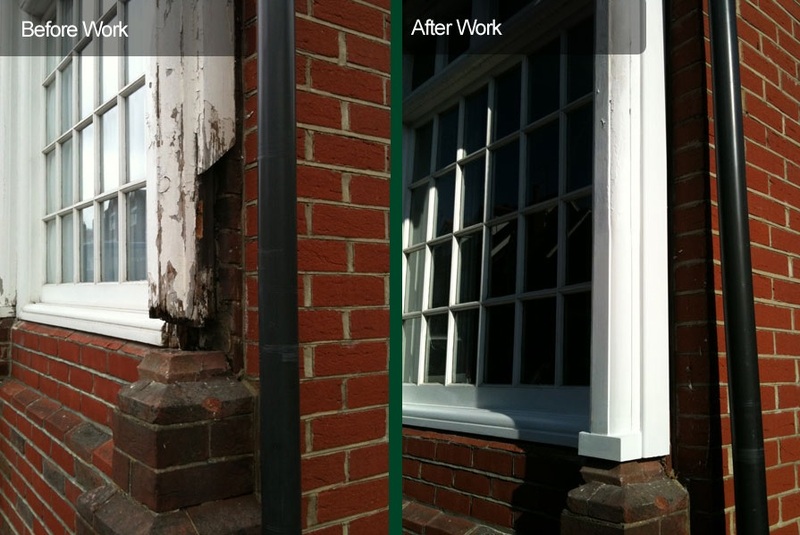 Sill decay is a common problem, due to the deterioration of the paint. Instead of replacing with an entirely new box frame, Sash Window Experts can carefully remove the existing lower box assembly and replace it with a new hardwood sill section, complete with pulley and out linings bonded in with epoxy resin. In carrying out the work, we use the same joints that were originally used to maintain the strength of the box frame. 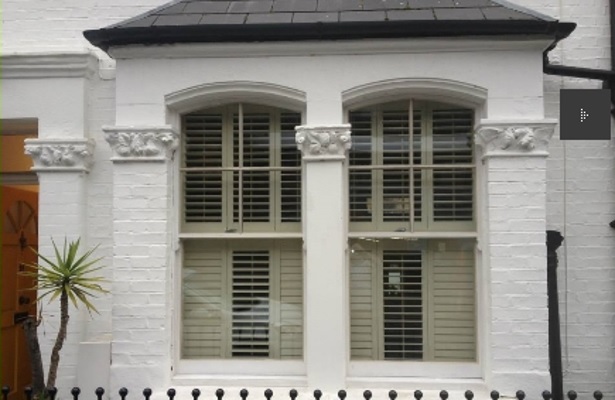 By carefully piecing in new sections of timber with detailed mouldings to match the original profile, we are able to prolong the life span of period windows and all types of sash windows including Georgian Sash Windows. Carrying out a two-part repair using our unique epoxy resin helps to strengthen the tenon joints that sashes are made up of. After removing localised areas of rot to the sashes, sills and box frame, a stabilising solution is applied. The epoxy resin is then applied and left to cure before being sanded to match the original profile and protected with primer. The new finish will be as good as the original timber and will not crack open over time, since the epoxy resin moves with the timber as it expands and contracts. For a complete sash window restoration service, we remove the sashes from the box frames, removing any paint build up from the running surfaces and priming any bare timber as necessary. Once the sashes and box frame are prepared, we discard the existing cords and beads and record the windows with our modern improved sash cords. We also check the counter balance weights and pulleys, making adjustments where necessary. As part of the sash window repair work, we re-align and reuse any existing original catches where possible – but replacements are available on request. At Sash Window Experts, we stock a range of traditional and modern window fittings in a variety of finishes including window catches and locks, and a range of other hardware for sash windows, casement windows and doors can be obtained. Draughty windows that rattle and let the cold air in (and warm air out!) are a major problem with original sash windows that have been badly maintained. We offer a comprehensive draught proofing service that can be carried out as a standalone service or as part of an overall sash window refurbishment project. Fitting an unobtrusive draught proofing system won’t detract from the beauty of your period sash window but will have the benefits of reducing draughts, outside noise and rattling window sounds while ensuring the sashes glide easily. Double glazing has become an essential feature of modern domestic properties; of course we realise the enormous benefits of double glazed windows. 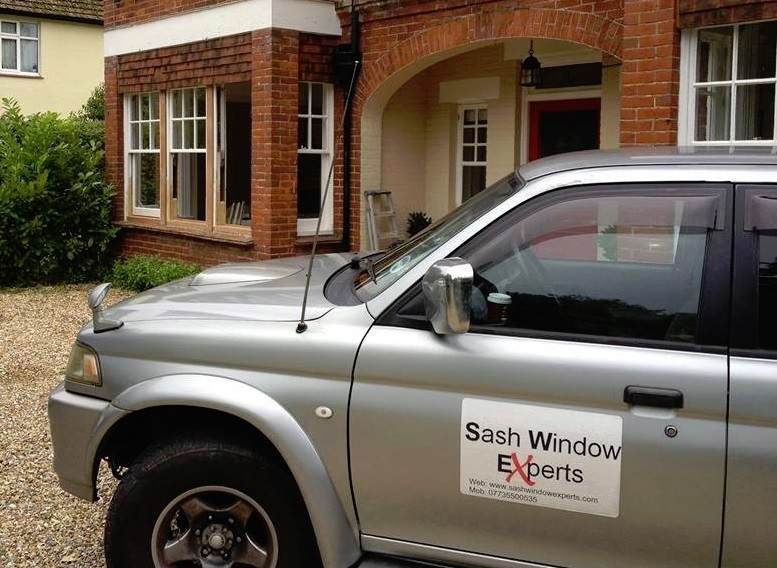 At Sash Window Experts, our skilled craftsmen work with the latest advances in double glazing and can provide double glazing services for repairing or renovating your sash windows. We offer beautiful double glazed hard or soft wood sashes with warm edge technology, while retaining all the essential period features including the original moulding designs. We work with an extensive selection of replacement glass and security options for your complete peace of mind. While cracked window panes or broken glass is an all too common problem, we can carry out a wide range of expert glass and putty repairs using clear float, laminated, toughened, crown, obscure, patterned and sealed glass units. Buildings and content insurance companies these days tend to insist on key operated locks to be fitted to sash windows; the original centre catch alone is not enough. At Sash Window Experts, you can choose from a variety of options for locks and traditional centre catches in a choice of finishes that can be fitted to your sash windows. Whether we carry out sash window repairs in situ or in our joinery workshop, meticulous care is taken at every stage of the process. Once rotten timber and failed paintwork have been removed and made good, we will leave the repaired and refurbished period windows prepared ready for decorating, having primed all bare timber where necessary. 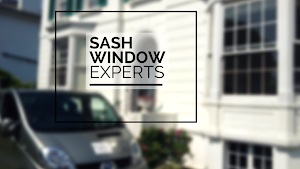 For more information about how Sash Window Experts can help bring the classic period features of your sash windows back to life, contact us today for a free quote. You can call Mark direct on his mobile 07735 500535, call the Sash Window Experts office on 01293 762370 or call the Freephone number 0800 1970129. Alternatively, you can send us a short message here and we will contact you as soon as we can.